"Diagonal Eight Shades of Gray"
This geometric pattern we call "Diagonal Eight" is full of potential. It can be arranged to create concentric diamonds, diagonal stripes, or all kinds of groups of lines. 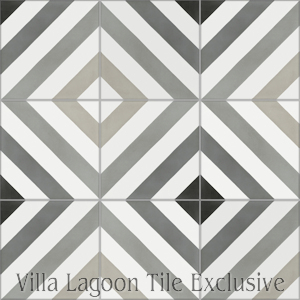 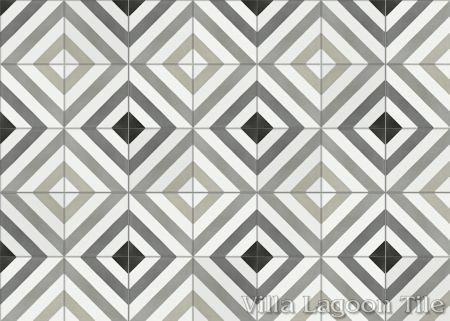 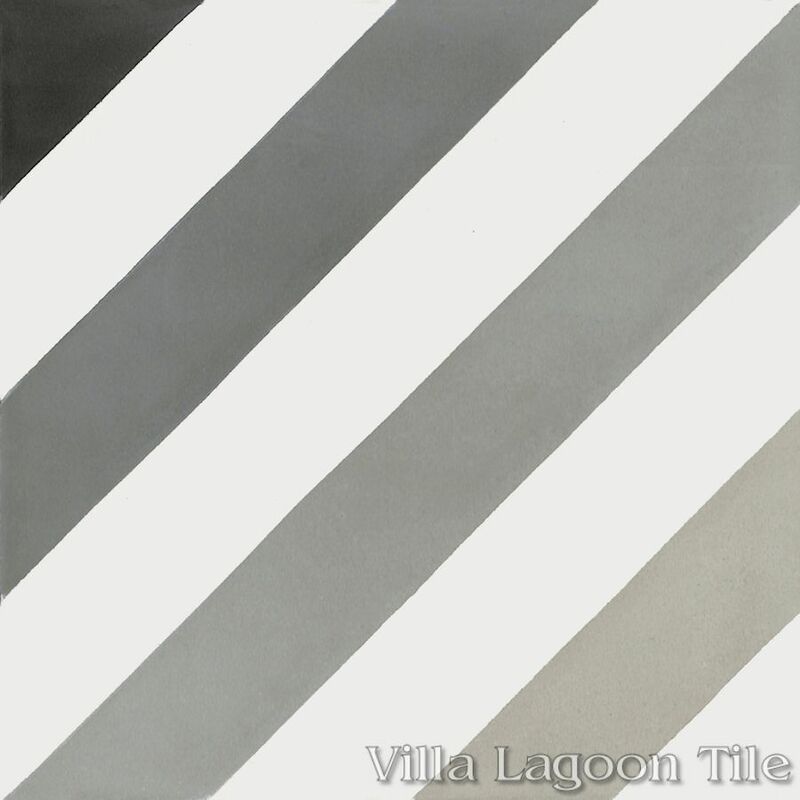 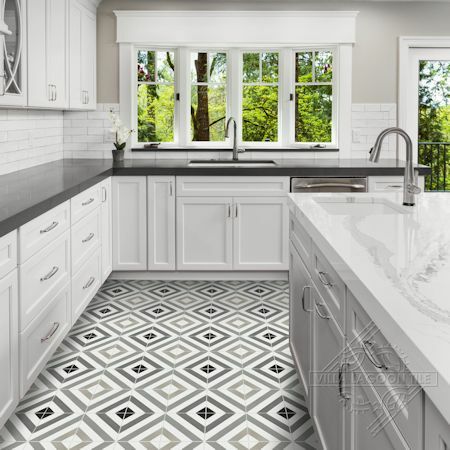 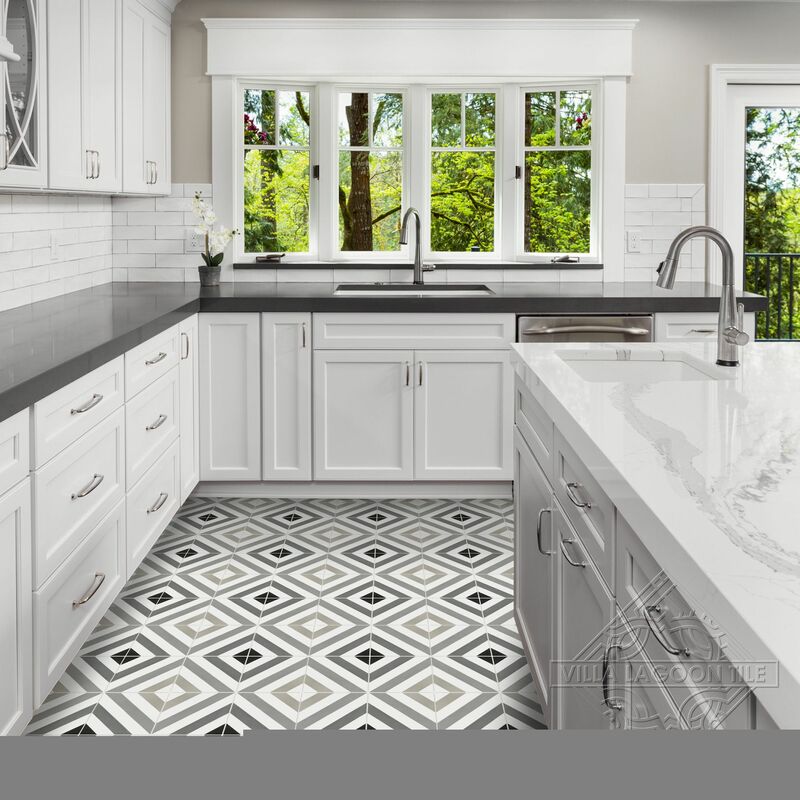 Villa Lagoon Tile's "Diagonal Eight" cement tile pattern using Black and White, with three shades of Gray from the South Beach Palette. 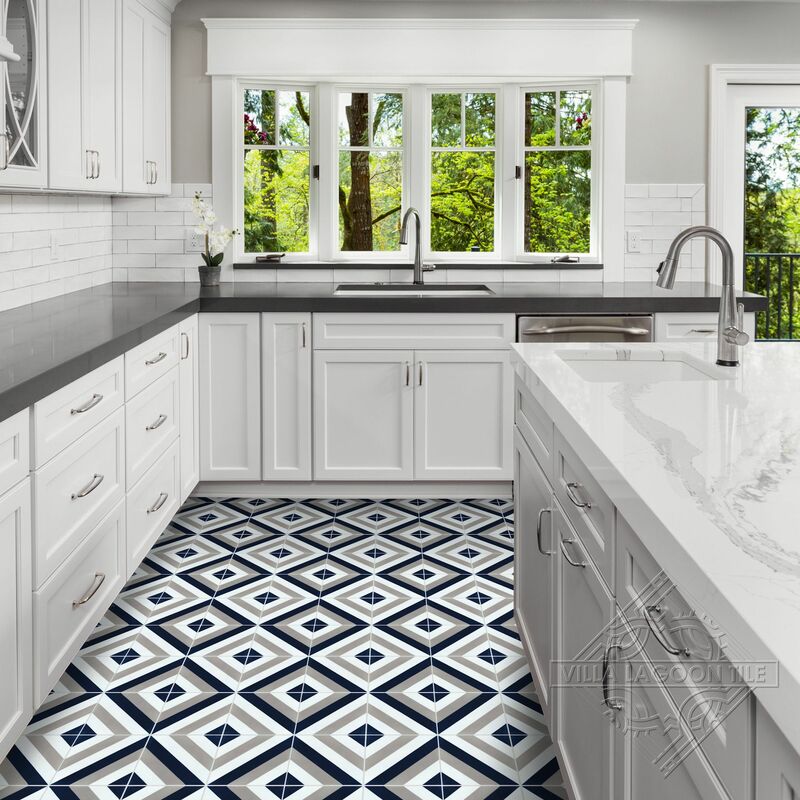 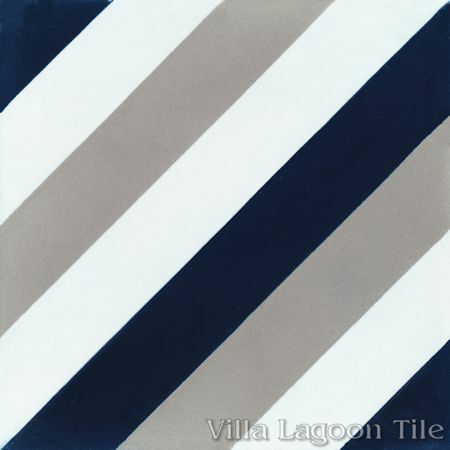 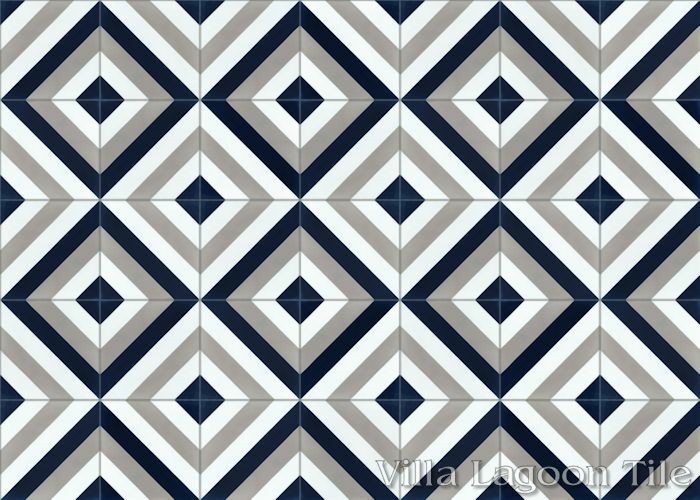 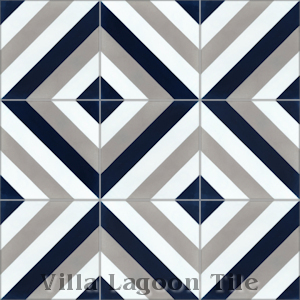 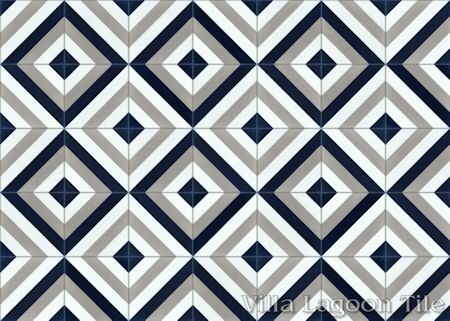 Villa Lagoon Tile's "Diagonal Eight" cement tile pattern using Urban Gray, Navy and White from the South Beach Palette.